After years of ominous warnings about how “winter is coming” on Game Of Thrones, the seasons finally changed on the recent season finale. 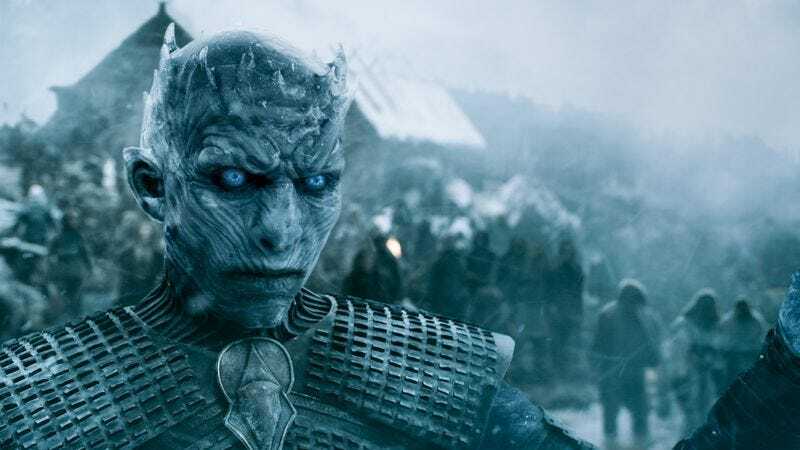 We don’t know exactly what that will mean for the show, but it’s definitely not good and it’ll probably involve a horde of ice zombies. Now, though, in a story that’s truly a gift from the TV gods, Game Of Thrones showrunners David Benioff and D.B. Weiss have revealed that the real winter just isn’t coming fast enough for them. That could be for the best, though, since Game Of Thrones is almost certainly going to have abbreviated seasons going forward. If it premieres later than it usually does, it could still end around the same time and give shows like Veep and Silicon Valley a few weeks to hold up HBO’s Sunday night on their own.